Why isn't my iphone 4s compatable with the text message feature through bluetooth? I can sync my phone just fine and make calls through the car but it wont tell me when I have new texts or read me messages..
sounds like a software issue. I dont know specifically but if it wont do it, it isnt compatible. I think in order to get the specific answer you would have to talk to someone at apple or honda. i cant either. i know i have everything set right. ive read that honda removed some of the accessibility with 2014's without telling anyone. i know for a fact they removed one of the bluetooth/HFL modules that sit under our radio because i disconnected my ANC and it wasnt there. 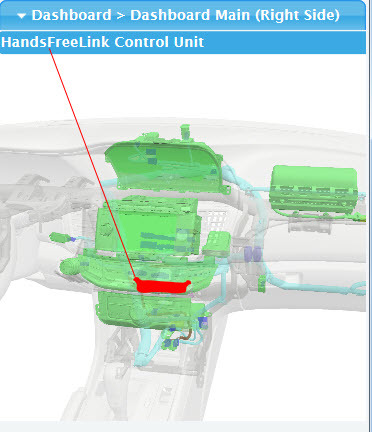 From looking at the circuit diagrams and part numbers, it looks like the 2014 Accord Sport, LX, and EX trim levels no longer have the Handsfree Control Unit (Bluetooth) hardware. The 2014 Accord EX-L and Touring still has the Handsfree Control Unit (Bluetooth) hardware. The 2014 Accord still has bluetooth connectivity. What I were referring to is a hardware module that certain 2014 Accords don't physically have anymore when compared to a 2013 Accord same model level trim. Berrnard found that out when he went to disconnect his ANC (Active Noise Cancellation) unit.